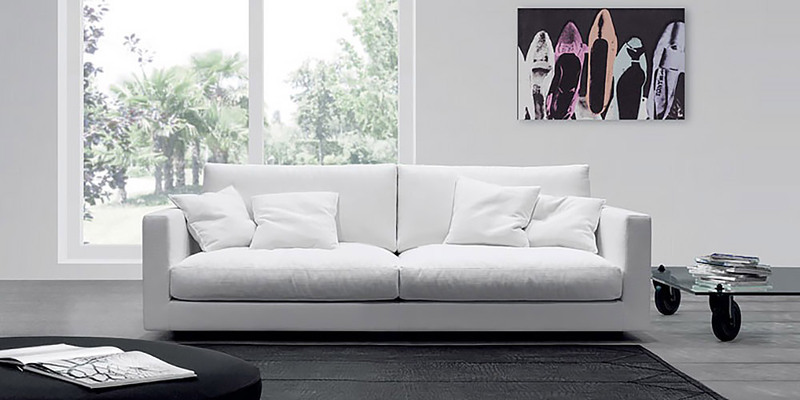 This sofa is especially designed to provide you with a major rest. Seen form the distance the sofa appears to hover in the air, thanks to the internally mounted wooden feet. Seat and back cushions with double layer synthetic foam filling drastically increase the comfort of this piece. Available in different sizes.